Fusion is an elegant wash stand/basin combination available in Helio single, Helio double or Geo single basin configurations. The photo above shows the Helio basin. 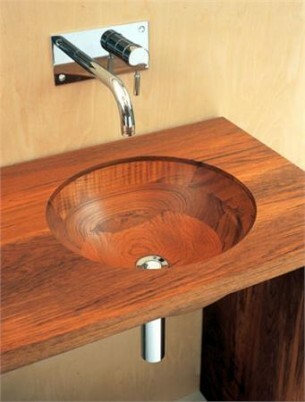 The basins are constructed and turned from solid teak and set into a solid teak washstand. Doors or drawers can be added to the space beneath the basins for an additional charge.